← Why are people surprised when Google uses their data? The sad, curious, and brain-dead demise of TechNet subscriptions (August 1): While they are replacing CEOs and buying mobile phone companies with gusto, on the other hand Microsoft is doing an excellent job of messing with the legions of technologists who work with their products. Many of these folk depend on TechNet subscriptions to acquaint themselves with new technology but Microsoft now wants them to use MSDN instead. Not much wrong with that except a price jump to $6,119 annually. The petition to ask Microsoft to do better is still available. Nearly 11,000 have signed. Maybe you should too? Switching Office 365 plans more easily confirms growing maturity of “the service” (August 6): I thought that this was genuinely good news for Office 365 customers because no one benefits from a system that is so inflexible that it cannot change to match evolving circumstances. Sure, Office 365 needed to be pretty structured when it started to deliver its service in June 2011. Two years later, it’s good to see that it will allow customers to move to different plans. Exchange and cloud application platforms – soon to be commonplace? (August 13): Microsoft dropped some hints at TechEd US that an Azure file server might be usable as a witness server for an Exchange 2013 DAG. As things transpired, some technical difficulties got in the way and this isn’t possible right now. But it’s a pointer to the future as is Amazon’s push to support Exchange on AWS. The news there is that Amazon is actually delivering this service to customers. Early days yet, but that’s where we might all be going (that is, if the Internet supports the network demands both locally and globally). Trading time for quality to improve Exchange 2013 updates (August 15): To be fair to the Exchange product group, they acknowledged the issues with MS13-061 and explained how the problem had occurred. What was worrying was that the fix had not been tested inside Office 365 (because Microsoft doesn’t apply patches in this way to the service) nor inside their famous “Dogfood” environment (for another completely different reason). The upshot is that everyone seems to have concluded that it’s best to spend some time testing software before it is released. Such a brainwave! 120,000 mailboxes – you need the dedicated Office 365 service! (August 20): New York State is moving to Office 365, but you can bet that any organization that wants to support 120,000 mailboxes on the service isn’t going to mix with the hoi polloi. Instead, they’ll use a dedicated version and receive Microsoft’s white-glove service. Which is how it should be. Impressive Office 365 uptime data means more pressure on on-premises IT managers (August 22): Microsoft released some very good SLA figures for Office 365 and made it more difficult for on-premises IT managers who had to explain to their CIOs why their systems couldn’t do as well. Of course, SLA measurement is difficult in the cloud because that Interweb thingy complicates matters. Most problems happen between your network and Microsoft’s datacenters and don’t count. You can’t blame Office 365 for a flaky Internet, can you? Trauma for Exchange 2013 servers when Managed Availability goes bad (August 27): Meanwhile, back in the mundane world of on-premises Exchange 2013, everyone was quite impressed to discover that Managed Availability exerts a hell of a lot of influence over servers. So much so that a small hiccup in a responder can result in a BSOD. It’s the way it should be. Hiccups are serious! Controlling Outlook Web App for Devices (August 29): Now that Microsoft is in the smartphone hardware business, perhaps we’ll see more progress in mobile email clients. But maybe that will all happen for Windows Phone, which is OK by me because that’s what I use. Those who use the operating systems that cannot be named might have to exert some control over the OWA for Devices app. Some control is possible, but perhaps not as much as you’d like. September has already started as August began with another hit to the confidence of Microsoft-focused technologists with the demise of the MCA and MCM accreditations. I could see why this happened, but Microsoft handed the communication very poorly. It should be interesting to see how September unfolds from such a beginning. 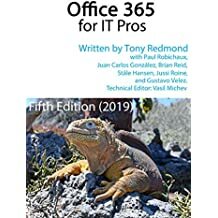 This entry was posted in Cloud, Exchange, Exchange 2013, Office 365 and tagged Amazon, AWS, Azure, Cloud, Exchange 2013, Managed Availability, MCA, MCM, MS13-061, MSDN, New York State, Office 365, Outlook Web App, OWA, TechNet. Bookmark the permalink.